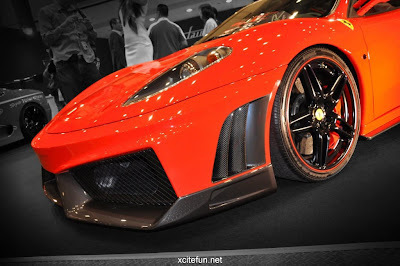 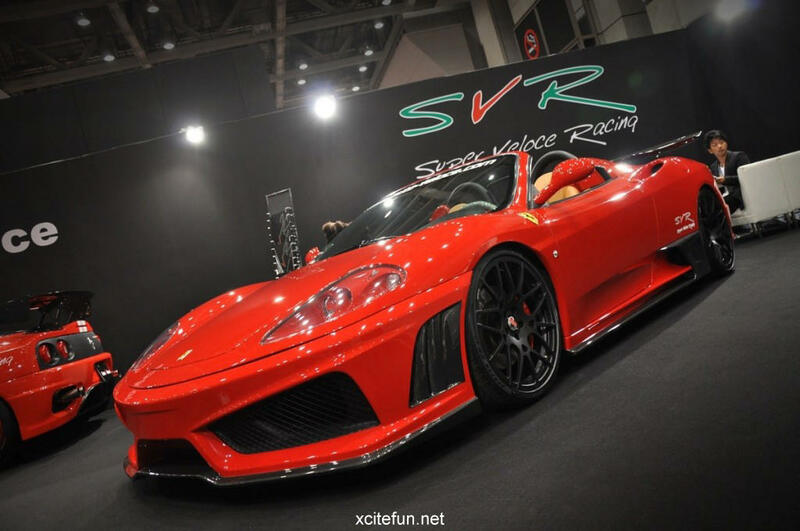 Ferrari F430 gets Lambo Styling Tuned Auto Veloce Front angle view. Auto Veloce has now given a Ferrari F430 Lamborghini styling with a new body kit. Ferrari F430 gets Lambo Styling Tuned Auto Veloce front side. 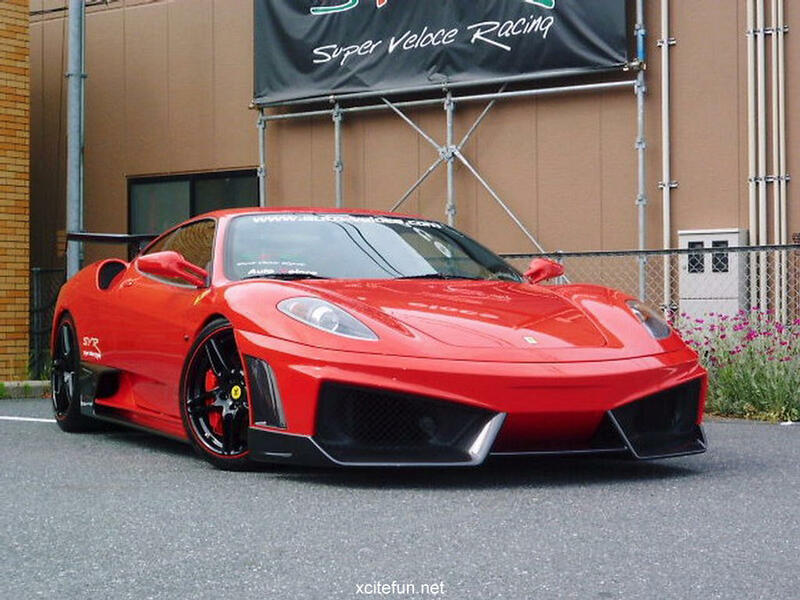 When you see these pictures you would think that the Ferrari F430 had a rocket attached to the back of it, just to make this Prancing horse go a little faster. 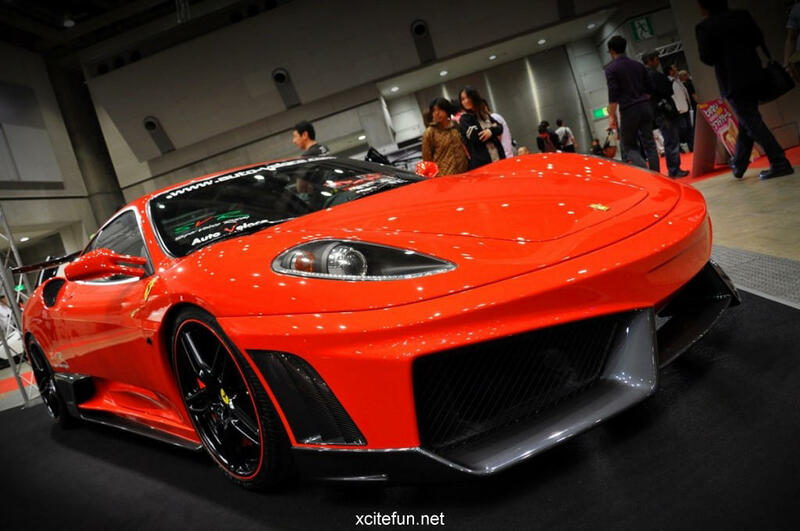 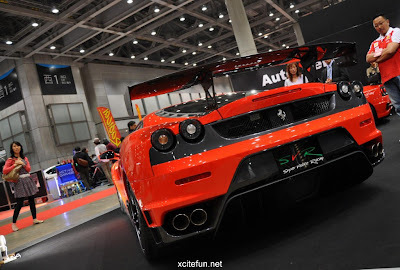 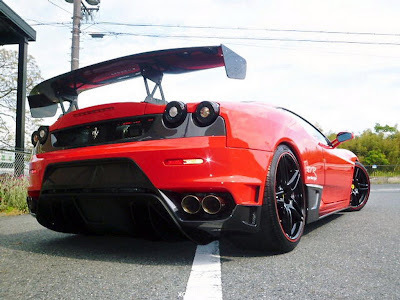 The Japanese company of Auto-Tuning Veloce has a number of Ferrari F430 Lamborghini styling with a new body kit. 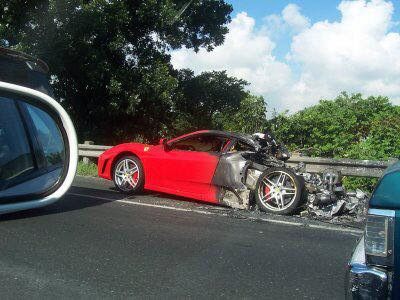 Normally it is difficult to fault a Lambo a Ferrari and vice versa, but this time you can call either, and yet be right.